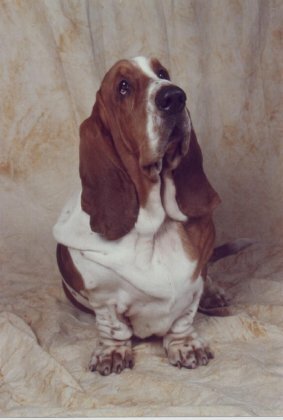 The Basset Hound doesn't have any particular health problems. Dog's temperature is normally around 38 to 38,5°. There is fever when the body temperature rises to 39°. Be careful of stress because a simple visit to the vet can bring up your dog's temperature to 39°. You can buy a soft flexible thermometer for your dog. You can suspect a case of fever if your dog is sad when you call him, if he sleeps a lot, has a sad look, a hot and dry nose, shakes and shivers and an overall impression of heat coming for the dog's fur. A visit to the vet is then mandatory. 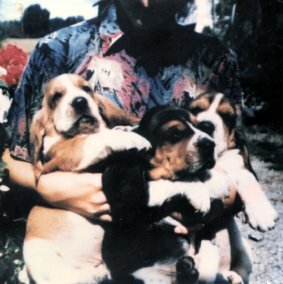 Your dog was vaccinated at the breeder's when he was 6 weeks old for various diseases (parvovirose disease, Maladie de Carré " hard pad disease ", etc.) then another vaccine at 8 weeks against parvovirose, leptospirosis, hepatitis, Maladie de Carré and kennel cough, a booster shot is vital a month after this second vaccine. Your companion will only be completely protected 10 days after that, this is why you should be extremely careful and not take your puppy to high-risk areas (public places, dog conventions, pet stores...). Don’t wait, run to the vet, even at night as an emergency. Your dog's life depends on it. Diarrhea can be caused by various things : eating "junk", a cold or heat-stroke, too much food, stress, parasites... diarrhea is mostly benign and of little consequences. Everything should be fine and you might want to put your dog on a diet for 24 hours. The bloating/torsion of stomach can be fatal to your dog if nothing is done to prevent it. 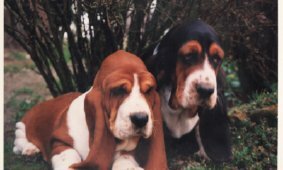 Even if this problem is not Basset-specific, it is good to talk about it because often dog die because owners do not know the symptoms of this disease. - No exercising and no stress after a meal. - Your dog should eat a reasonable amount of food. A large amount of food at one time is very dangerous. - Your dog should not eat too fast. - Avoid changing his food all of sudden. - Give him a high-quality, digest food. - Don't make him drink a too-large quantity of water right after exercising. Make sure you clean your dog's ears thoroughly, with baby wipes or a specific cleanser. Never use q-tips, if your dog moves when you clean his ears you could rupture his eardrum. If you notice some foul-smelling, brown discharges at ear level, it could be an ear disease, you should check with your vet for some appropriate treatment. 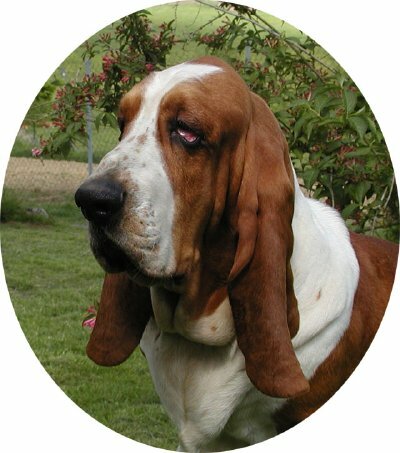 Uncommon in Basset Hound, Hip dysplasia is a condition affecting the hip joint and many breeds can be affected to some extent. 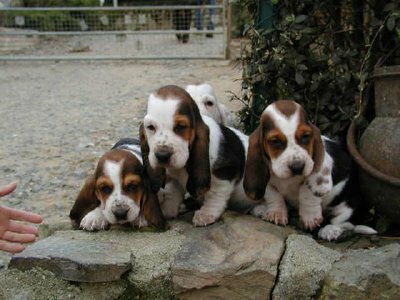 The first signs usually appear between four and eight months old when the puppy may show signs of difficulty in rising from a sit or down position, or perhaps show a peculiar swaying gait with the hind legs tucked under the body in an effort to transfer the bodyweight forward to reduce discomfort. The vast majority of affected dogs lead a normal or near normal life as maturity will bring muscle development and greatly improve balance and coordination, which will compensate for joint laxity or deformity. Elbow dysplasia can lead to claudicating and arthritis. 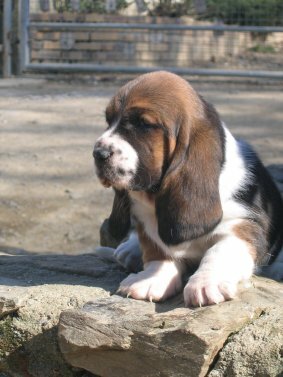 Growing up, the Hound puppy can start claudicating sometimes from one paw or the other. This is normal and should get back to normal around 12 months old. If your dog is in pain your vet can give him some anti-inflammatory drugs. 1. Food: it should be high-quality food but not large quantities, your puppy should first build strong bones which can help carry his weight in the future. Wanting a sumo puppy can only ruin his future health. 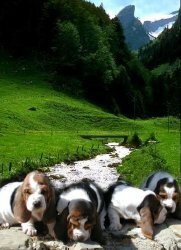 The leading dog food suppliers have done a great effort on their products' quality, give your puppy a large dog-specific food and all will go well. 2. 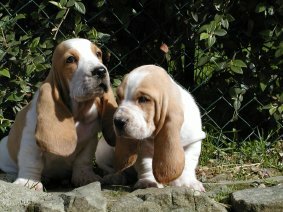 Exercise : should be limited at first, don't let your puppy get tired when he's growing, long walks are forbidden, let him play around the house at his own pace or go to a nice spot, sit down and watch him play around, he is all rubber-like and if you exercise him too much you might cause him harm. Don't let your dog go up and down the stairs, or jump at the back of the car. Following those easy tips can help prevent hip dysplasia. 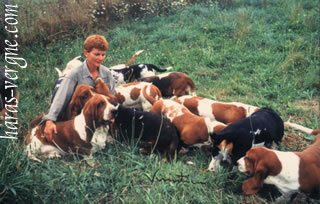 Be patient and soon you can fully enjoy running around with your dog.